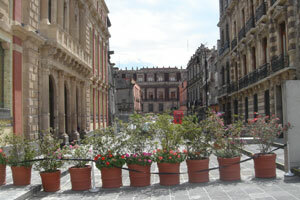 We spent eight days in Mexico in early March 2005 with my Father. The excuse for this trip was to attend a wedding, but we also met lots of family and saw amazing ruins. 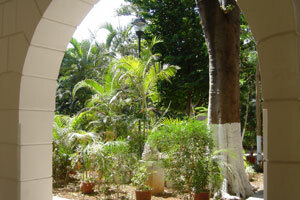 We flew into Mérida and stayed there for the first four days of our trip. The excuse for this trip was to attend a wedding, but we also met lots of family and saw the amazing ruins of Uxmal and Chichén Itzá. 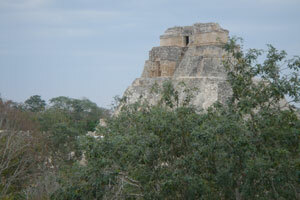 Our first day trip out of Mérida was to the late Maya site of Uxmal. 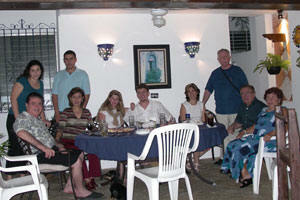 We were taken there by my cousin Umberto and his family, who you can see in some of these pictures. 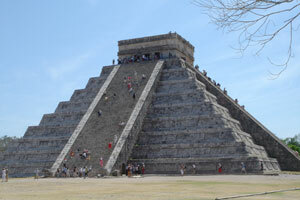 Our second day trip out of Mérida was to the late Maya site of Chichén Itzá. This time we went with a professional driver/guide. After Mérida, we flew into Mexico City for the second half of our trip. 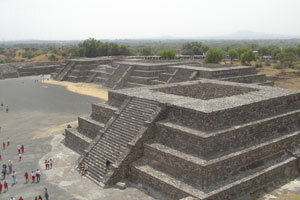 We had another set of family there, and we also went on a day trip to the ancient site of Teotihuacán. Our only day trip from Mexico City was to the amazing anicent site of Teotihuacán. We were taken by our cousin Marie Carmen and her mother. My father took pictures as well and we decided to add them here for the family to view easily.